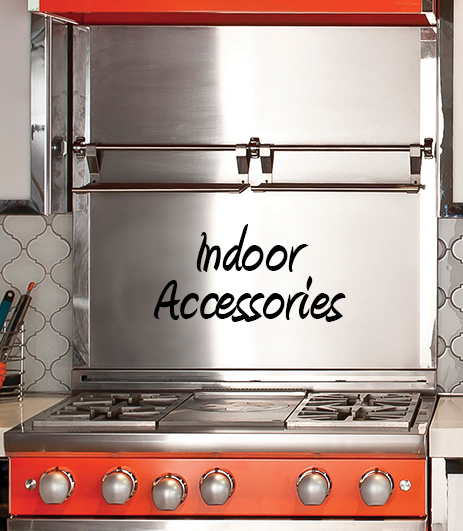 The indoor estate-scaled line of 36", 48" and 72" all-gas ranges and cooktops were designed in collaboration with the country's top architects and designers. The Caliber Indoor Professional Range and Rangetop series is completely customizable in color and trim finishes, making Caliber the first American manufacturer capable of producing entire custom cooking suites for home culinary enthusiasts. Caliber’s innovative engineering anchors the indoor line with the patent-pending, 23,000 BTU "CR6" open-top burner capable of producing a broad range of heat settings. This versatile burner quickly moves from high searing and boiling temperatures to chocolate melting temperatures on a specialty Insta-Low setting. Restaurant worthy, with a vertical powered flame pattern, the CR6 burner design is as efficient as it is beautiful. Developed fully in-house by the industry's leading engineering team, the CR6 burner is cast in the USA from solid brass and boasts a lifetime warranty. 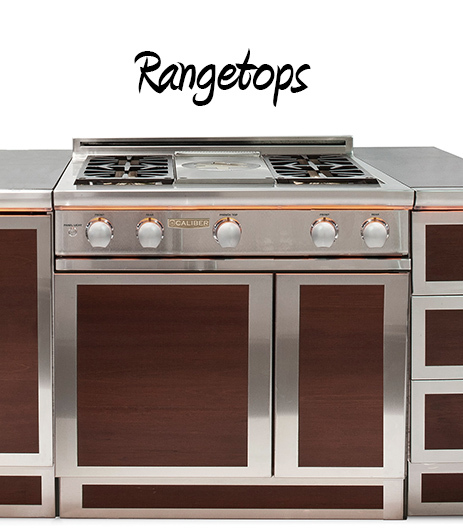 Other surface cooking options include even-heating, 18,000 BTU griddles made from solid stainless steel, powerful 25,000 BTU French Tops and Caliber's iconic patented Crossflame Pro 20,000 BTU grilling section. 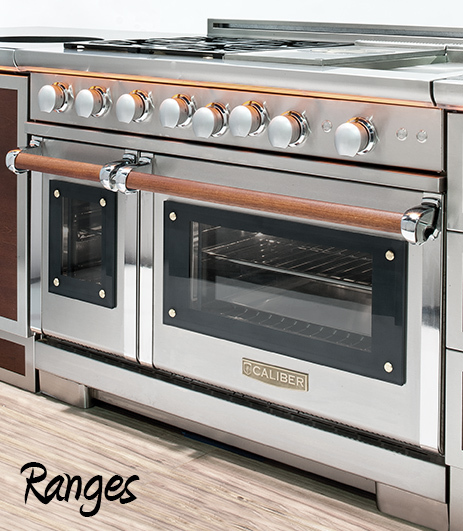 True to commercial-like, estate-scaled equipment, each Caliber Pro Range is outfitted with a true chef-sized oven that provides even baking results thanks to its proprietary Tri-Flow convection technology and ultra-efficient flue design. It also has a sealed infrared broil burner capable of heating to searing temperatures - all while routing excess heat from the oven cavity to avoid baking meats instead of broiling. Caliber is known for appealing design features and classic aesthetic. With the Caliber Indoor Professional Range and Rangetop Series, you can choose every detail of your culinary experience, rich wood handles, designer colors, and personalized trim upgrades in solid brass, copper, bronze and polished stainless steel. You can continue to Expect Great Heat with products designed for power, efficiency, beauty, and versatility. By designing to meticulously high standards, Caliber satisfies the needs of even the most demanding culinary enthusiasts.